Here’s a dose of nostalgia. Who here remembers the days when clothes were dried out in the sun on clothes lines? Out in the backyard, hanging clothes out to dry might not have been fun, but looking back now, it feels missed. 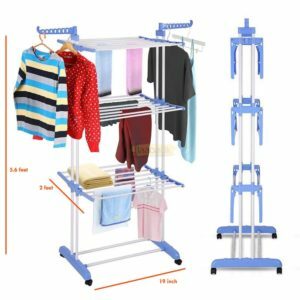 Nowadays, as houses become smaller, and more and more people move into apartments, the concept of clothes lines are becoming redundant, as it requires a lot of space, and might not be as efficient or practical. Enter the Era of Cloth Racks. Mobile, foldable, and space efficient, the modern day clothes drying rack is a truly innovative tool. In fact, it’s a must have for any house, even if there’s ample space in the compound. 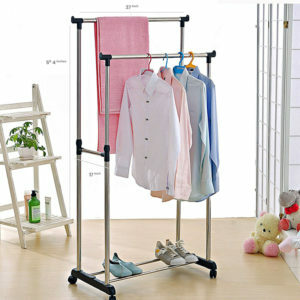 There are mainly 2 types of steel clothes drying rack. 1) Stainless Steel and 2) Powder Coated. Let’s answer a few questions to help you identify which one wins. Stainless Steel is an alloy (with a minimum of 10.5% Chromium). Chromium produces a thin layer of oxide on the surface steel known as ‘passive steel’. This prevents any further corrosion on the surface. Increasing the amount of Chromium gives an increased resistance to corrosion. Stainless Steel also contains varying amounts of Carbon, Silicon, and Manganese. Other elements such as Nickel and Molybdenum may be added to impart other useful properties such as enhanced formability and increased corrosion resistance. Stainless steel is much more resistant to corrosion than ordinary carbon or alloy steels, In some circumstances, it can corrode. It is ‘stain-less’ not ‘stain-impossible’. In normal atmosphere, stainless steel will not corrode as seen by domestic sink units, cutlery, saucepans and work surfaces. In more aggressive conditions, the basic types of stainless steel may corrode. Looks. Many people opt for stainless steel because they look sleek and modern, and complement any décor, from natural wood to marble. Durable. Because Stainless Steel is an alloy it is extremely durable and able to withstand many years of use without showing signs of wear and tear. 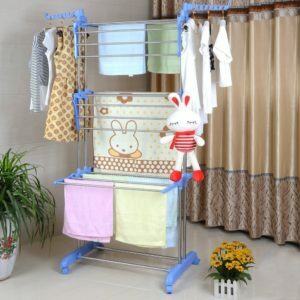 Stainless steel is also resistant to water damage and rust, which are two important considerations for drying clothes. Stainless steel is also nonporous, making it a more hygienic surface than plastic. If you have animals or kids in the house, stainless steel products are likely to become breeding grounds for germs and bacteria. Expensive. The most obvious disadvantage of stainless steel appliances is the cost. 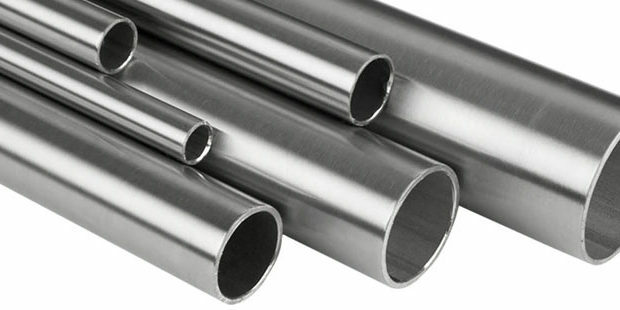 Typically, stainless steel products are more expensive than other types of products. This fact may rule out stainless steel appliances if you are on a tight budget. Stainless steel is expensive to fabricate, and the companies that sell you the appliances at retail will pass the expense on to you. An appliance in another finish may cost hundreds or thousands of Rupees less than one of equal quality with a stainless steel outer shell. Dirt Shows. Stainless steel shows fingerprints and small marks and smudges. Stainless steel may be stainless, but it’s not smudge-proof. If you don’t like to spend a lot of time cleaning your appliances, stainless steel appliances may be less appealing, particularly if you have young children at home leaving fingerprints everywhere. This is a safe, dry finishing process that uses finely ground particles of pigment and resin to create a protective finish. Durability. Powder coating adds to the steel’s durability, helping the frame to withstand damages better and last longer. Corrosion Resistant. Moisture and humidity can cause metal frames to rust. When applied to steel, powder coating provides a protective barrier that helps prevent corrosion. Long lasting finish and colors. Powder coating provides a hard finish that is tougher than conventional paint. Because of this, colors stay brighter and vibrant longer than other methods. Environmentally safe. The powder coating process has little impact on the environment. It requires no harmful solvents and does not emit vapors or fumes like liquid paint does. Breakdown under UV light. When exposed to UV rays, powder coating can break down between 5 – 10 years. Difficult to obtain thin film. Thin films (less than 25um) are more difficult to obtain with powder coating than with wet paint. This results in a thicker film on the frame. Color mixing is not possible. Powders cannot be mixed with one another to obtain different colors as with paint. Outdoor Use – Can Stainless Steel be used for homes near the seaside? Well the simple answer is no, not really. Coastal areas are one of the harshest environments with high levels of airborne salt, high winds and plentiful crow gifts that when applied to stainless steel clothes racks will begin to eat away at the surface and tarnish the finish if not regularly maintained. The passive layer of the stainless steel can be damaged by iron contamination, airborne particles and particularly chlorides. Therefore, it is imperative that stainless steel is subject to an ongoing maintenance and cleaning program. Remember it is stainLESS, not stainFREE. Powder coated cloth racks tend to fare better in coastal areas – but only up to a certain threshold. To ensure protection, powder coatings must be maintained properly by applying paint over the exposed or chipped surface. Stainless steel requires some maintenance. Clean stainless steel with a little soap and water. Simply add liquid soap to a cloth soaked in warm water and wipe off any marks and smudges. Use glass cleaner and a paper towel to remove fingerprints. Special cleaning products are available for stainless steel appliances. Powder Coated Steel need no maintenance. Because of its durability and resistance to abrasion and corrosion, powder coated steel requires little to no maintenance. So, there you have it. 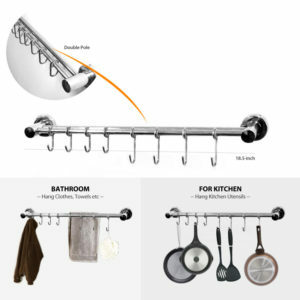 Stainless steel clothes racks are a great investment, as it lasts long, and looks great. However, the main issue for stainless steel is the regular, extensive maintenance and high cost. And if you live near the coast, it’s not very ideal to use. On the other hand, Powder coated stainless steel racks cost less, need little to no maintenance, but don’t last as long as Stainless Steel. 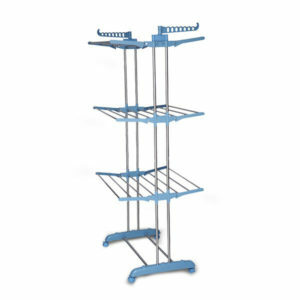 Coastal areas are less harmful to powder coated racks than to stainless steel ones.